“Jimmy Cliff is one of my musical heroes and I’ve been responding to his music my entire life,” said Armstrong, who had never met Cliff before, but was once recommended to him by mutual friend Joe Strummer of The Clash. Gathering Armstrong’s studio band, the Engine Room (bassist/percussionist J Bonner, drum/percussionist Scott Abels, organ/percussionist Dan Boer and piano/lead guitarist Kevin Bivona), the first song they tackled was a cover of Rancid’s “Ruby Soho,” a ska-tinged number from the band’s 1995 album …And Out Came the Wolves about a musician having to tell his lover he’s headed for the road. 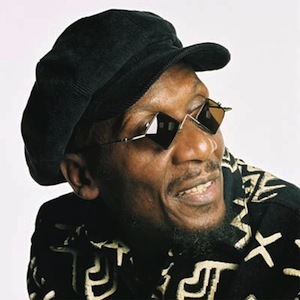 Never a stranger to politics, Jimmy Cliff continues as a voice of power and conscience, especially on songs like the opener, “World Upside Down,” a song written by the late reggae pioneer Joe Higgs back in the ‘70s with lyrics updated by Cliff. “I made it for the world today,” he added.